For Peanut, growing up with an over-active mind is an adventure with lots of fallout. An accelerated learner, Peanut is driven to figure out life and beyond. With his creativity, he comes to brilliant deductions—and wrong conclusions. He lacks the experience to keep up with his soaring ideas, so he is always doomed to hilarious errors. Worse, he feels it’s up to him to find the keys to the Ways of the World and unlock all doors to make things right. Fortunately, his quirky family members and loyal dog are always at hand to ease Peanut’s passage through childhood. In Little Peanut Makes a Baby, five-year-old, lonely Peanut wants a sibling, so he sets out to get one. Can he purchase one? Make a brother from a kit? Is the answer in a watermelon, a seed packet? The toilet? He’s already constructed a dinosaur that roars Daddy out of bed at night. Bit by bit, he gets closer to the truth, though he goes down many wrong roads. Peanut’s wild ride has him listening at doors and making tender-hearted preparations for his baby. Meanwhile, he’s cast in a role that brings him smack up against a new kind of love. In When Puffy Dies, Peanut is eight. Little brother Goober has set Peanut thinking further about the mysteries of life—and death. Why can’t things last forever? Now a school boy, Peanut’scircle of older classmates and his imagination get him into plenty of misadventures, including an attempt at bringing dead worms to life, reenacting the rising Phoenix, the pastor’s call of Hell fire, and exploding his dad’s grill. Will Daddy explode too?Peanut’s family goes all out toavert—and clean up after—his debacles. When the family pet dies, mortality turns real, and Peanut must face mind-shattering grief. Comfort comes in unexpected ways. Peanut Makes It Real (incomplete) shows Peanut twelve-years-old and in the eighth grade, Peanut faces events that cause real life to come crashing in on him in personal and embarrassing ways. He can’t think his way out of acne, body odor, money problems, serious illness, or the eerie placement of a new hair. However, his creativity and imagination are always on site and take him on head-scratching turns. Will Peanut be ready when he finds out girls are not aliens? If your book is suitable for 18+ years, please advise this as your book will be linked to the interview using Amazon Associates. 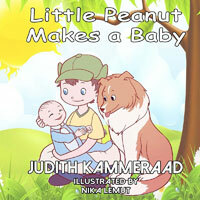 LITTLE PEANUT MAKES A BABY is Intended for all ages:”for children with overactive minds and the adults who love them. Just For Fun: You are living in the world from your latest novel. Where are you? What is it like? Peanut lives in west-central Florida. His room contains a world of odd treasures. His backyard and the clouds overhead are another universe open to his imagination. The backyard is full of plants and animal life—cockroaches, worms, and armadillos that invite dissection and all sorts of creative play and speculation. Peanut has been known to escape to the sidewalks, gutters, and tree line from time to time, always looking for invertebrate life and looking for signs of the ways of the world. You are your most recent protagonist. Who are you? What is the first thing you do? Who is your favourite author? Why? Little Peanut, a five-year-old boy. I think my parents don’t trust me in Kindergarten. They know how I am. So, I’m home-schooled using third grade materials. They say I’m precocious, which is one of the words I collected on my word list. I am driven to solve the world’s problems. Grandma says I’m very intuitive (another list word). I can follow any path to its logical conclusion. Too bad my lack of experience leads me the wrong way pretty often. My family members think that’s a big laugh. I live in my imagination a lot, but I’m still lonely. I badly want my own brother. Can I buy one?—Mom says no. Make one? I already made a dinosaur that roars at night and wakes Daddy up. Is there a kit for babies? Mommy says we must wait for Daddy to plant a seed. I told him to hop to it, but he put me in time out. I guess it’s up to me. If you want things done right, do them yourself, Grandpa says. The first thing I do in the morning is make my list for the day. Then it’s pet chores and lessons with Mommy. After lunch I read or climb out my window to become a chimp or an eagle. From now on, I’m going to be busy, though, making my baby. I like to make up songs and poetry, like Grandma. She reads me Robert Frost. As far as books go…I read FREUD FOR KIDS and MEDICAL BOOK FOR KIDS most days. Freud scares me though. Well, girls scare me too. I remember most of what I read. I love reading, because I need to know everything in the world. I also collect butterflies and cockroaches and dried scabs and make art with my food. Do they do that in school? I asked Grandma to find me a book about making babies. Grandpa laughed and said I’m the apple of his eye. I heard my parents laughing about me in their bedroom. They like to confer in there behind closed doors. By the way, I love watermelon, right down to the seeds. But now I’m afraid eating the seeds might make a baby grow in my belly. Help? 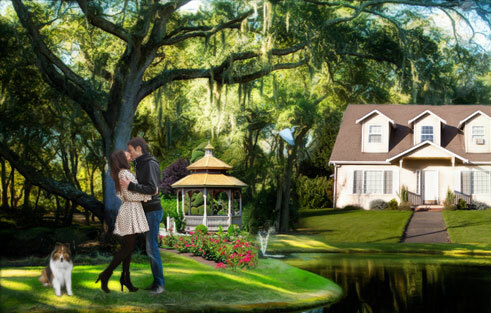 With my romance/psychological novels, it’s often a place, especially a place I see in the real world. With TEACH ME TOO, it was a stream and a dirt road into a hidden ranch. HALF AND HALF ROSE is set on a horse ranch here in Citrus County and in places I’ve seen in Ireland. The book I’m writing now takes place near my home. I also have one set in a Utopian world, because I wanted a different sort of society for my premise. Once I have my world, I think about the sort of person(s) who might inhabit that world. Why are they there? How did they get there? Where were they before the here and now? What happened to them there? What might happen in the new world, given their history. What’s wrong with them? What do they want to achieve? Why? What might help them? What might keep them from success? This leads me to think about the problems/conflicts I want to set up and the universal issues I want to deal with. In TEACH ME TOO: mental healing and unselfish love. In HALF AND HALF ROSE: grief and forgiveness. And so on. By this point I know what I need to do to make my lead character grow progressively stronger and maybe redeem some others. That said, there are so many ideas, people, stories whirling in my head, whether I’m waking or sleeping, that there’s always something to hand when I need it. LITTLE PEANUT MAKES A BABY required a different approach. In addition to the considerations above, this humorous series grew out of my fascination with observing children, especially gifted ones, and trying to figure out how they think themselves into so many blind alleys. I have six young grandchildren, several Peanuts among them, so there’s always plenty of work there. I’ve written since childhood. It’s what I do. I am a story-teller and observer of human psychology by nature. Every person I see on the street becomes a character with a fascinating life for that brief time. I am never bored. Even when I taught full-time, my characters and stories and poems were part of my class-sessions. I couldn’t help myself. Besides, it’s fun when your students find you unpredictable. How do you deal with bad reviews, rejection and criticism? At the beginning of my quest to “get published,” my first book was rejected or ignored by 17 firms. I was lucky to receive very constructive critiques and suggestions. Most of them helped me hone my craft. I am eternally grateful to the dear person who suggested I throw my manuscript under the bed until I learned how to write. Consequently, I read lots of books and articles on craft, read a lot of fiction, and took lots of classes. Finally, when someone I respected said my book might be dead, I took 3 months to reassess and rewrite my story the way I really wanted it to be, not how I was told it should be. 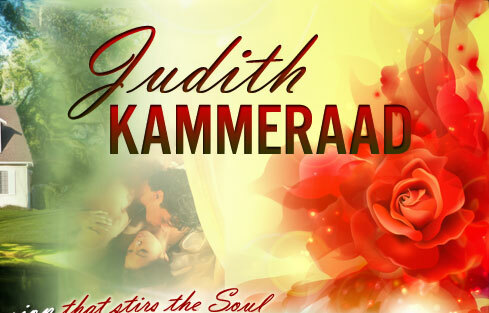 Then I submitted to three publishers, two of whom accepted my story within three days. The same with my second novel. I worship people who are willing to critique my work. Even if I don’t agree with criticism, I know at least one person saw something I should take another look at. It’s always worth it. I love the challenge of figuring out how I will handle the story, so in that sense, there’s nothing unpleasantly hard about writing. I do have serious issues with publicizing my work. Kudos to the tech savvy like Emma Hardcastle (and this interview) who are willing to help me out with that. Once an amateur actor, it’s fascinating to become the character and deepen her point of view. I also love the editing and revision, even savor it, which explains why I’m a slow writer. Do you ever outsource (editing and cover design) your work? What is your opinion on the indie vs traditional publishing argument? I’ve had two traditional publishers, both of which embraced authors with their own vision and a certain amount of quirkiness. I enjoyed them both. My only problem there is waiting (sometimes a year or more) for my books to get through the queue and go to press. This past year, I’ve also been involved with a hybrid publisher, and I love it. My responsibilities are writing the book, having the book edited, and paying an artist if there are going to be illustrations (LITTLE PEANUT MAKES A BABY). The publisher takes care of the rest, which includes everything which—as I said—cripples me with anxiety. I have a close collaborative relationship with the publisher, who goes out of her way to help me. And the book gets out relatively fast. Talk us through your creative process from start to finish. First, there are the processes under “How do you get your ideas?” which I spoke about already. I have learned the hard way to be more of a planner. Otherwise my imagination spins out of control. So I write a page or two on each character This is a work in progress, which helps me get to know my people and includes everything about them. Often I find pictures of to be my main characters, especially the hero. It helps if every day you can look at a face you can fall in love with. The female, of course, has to be one who could be me in some way. I know how these people think, and I try out their voices. At some point I jot down the main plot points. Usually one event begets another logically. I add details when I can. I keep filling this in over time. I put all this in red and keep it intact in the manuscript until way later in the rewriting process. I work on the synopsis. This can change, but it helps me stay true to my vision. I start writing the scenes that lead from one to another. This doesn’t have to be chronological. I write these in italics or maybe blue. The next day I circle back, and if it’s okay for now it gets black non-italics. I try to write fast, knowing there are many versions to come. I always keep in mind that some of what I write will end up in out-takes or in vastly different form. After I finish the first version, I know a lot more about the story and have become one with the main characters. Now the anxiety is gone. I know this is going to be a book. In the following revisions, I go straight through each time, changing, adding, New insights.. Many wonderful things happen in my brain. Finally, I know I’m not going to change the events or characters too much, so I’m looking for language issues and pacing. Near the end of the first year I am ready to give the manuscript to my critique partners, revise as needed, and ultimately submit. If I’m lucky I’ve already outlined my next book or at least got it in my head. Read everything you can. Reading can increase your empathy for characters, and you’ll learn a lot about your craft. Learn from those who critique you. Give consideration to every suggestion. Then act on it or discard it or stick it in the extra pockets of your brain. Write. Write every day, Write a lot. Even if you write crap. Crap is good fertilizer. Never give up. Be a mule. Have something you want to say. I like to think there’s always someone out there who needs to read my story and will get a blessing from it. Give us your top three book marketing/ promotion tips. Find which social media you like. I like working on Facebook, but Twitter makes me anxious. Get your name and face out there. I make use of author events and book-signings as much as I can. I have lots of business cards, magnets, and brochures. You’ll find them all over Citrus County, where I live. I travel a lot, world wide, and these babies go with me. If you can figure out how to do it, get yourself into your local newspaper, alumni magazine, etc. Strike up conversations with strangers. Collaborate and cooperate with other writers. Join writer groups. Would you agree a good book must withstand more than one read? If I really love a book, I tend to go back and read at least parts of it again. I tend to write a complex story with a lot of layers that readers can keep on enjoying. What do you look for when shopping on Amazon for a Kindle book? Are any of them more important to you than others? Sorry, I only buy paperbacks. I’m very tactile. What would it take for you to leave a book review? I do this all the time when I like the book. What are the biggest giveaways that a book is self-published? Many independent books are well written and well-edited. It these qualities are not intact, you can be suspicious. When I’m attracted by a title or an author and think I may be dealing with an independent book, I may check out the author’s credentials and find out who edited the book. Any other comments or notes? May I mention my other books? Thank you, Emma Hardcastle, for your wonderful questions and the chance to be part of your blog. I enjoyed the experience very much. It was useful in making me think things through and articulate my thoughts on writing. Great website. Looking forward to getting to know you better.